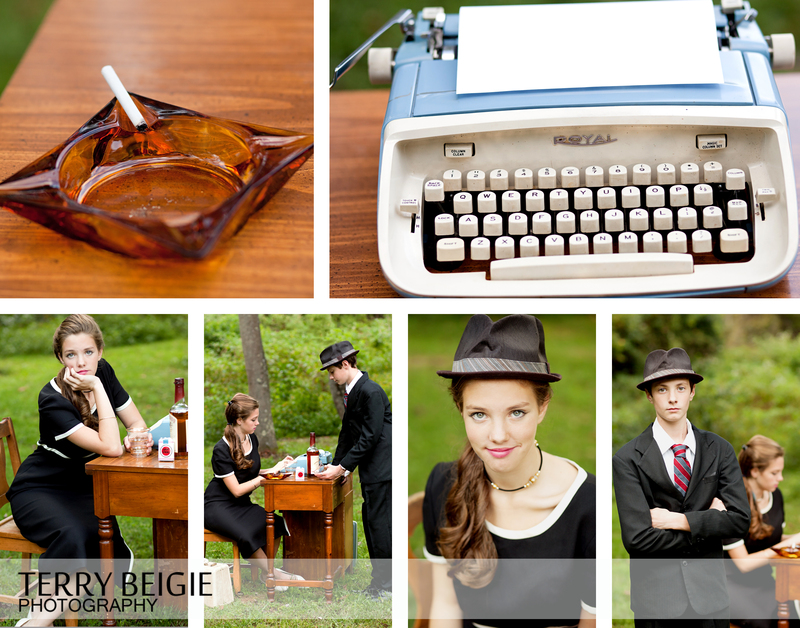 I have wanted to create a styled Mad Men type shoot since I started watching the show earlier this year (I was late on the bandwagon, I know, but better late than never, right?)! I finally had all the pieces together–a suit for my son, a dress for my daughter and a Royal typewriter borrowed from a friend! Plus, a pack of Lucky Strikes cigarettes (which cost an arm and a leg, by the way)–of course! The kids indulged me this photoshoot and my husband helped me out tremendously with the props and getting the desk from the top floor to our very hilly backyard. I’m just so pleased it finally came together! Hope you enjoy it as much as I did enjoyed planning it! Wow, working in the 60’s and early 70’s I can associate with all this. Smoking in the office, drinking at lunch or after work. And the office affairs.